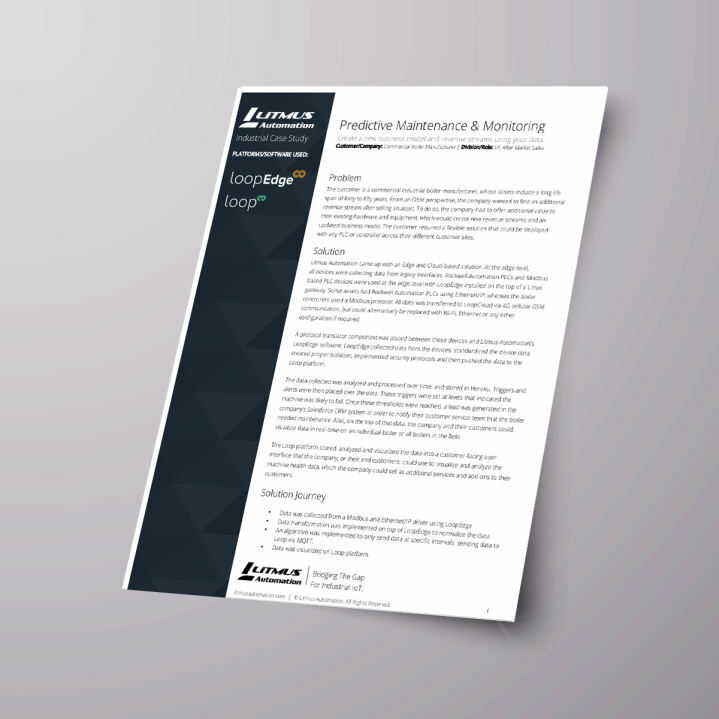 Litmus Automation’s edge and cloud-based solution, LoopEdge, can collect, standardize, isolate, secure and push device data to the Loop platform, enabling predictive maintenance of potential failing systems in the short and long term. Create new revenue streams and business models as a result of understanding asset data. Collect better analytics for assets being sold, leading to value-added services for consumers and users such as visualizations and real-time machine health monitoring. Provide value to the end customer by decreasing failure costs, while also increasing brand awareness and customer loyalty.